My car won’t start. Do I need to replace my fuel pump? In most cases, a vehicles failure to start is usually caused by a faulty , battery, alternator, starter, or fuel pump. If the first three of these parts are determined to be working properly, have someone listen for a vibrating sound that the fuel pump should make near your gas tank when your engine is running. In some vehicles you may be able to hear this sound better by turning the ignition key barely enough to start the engine. If there is no fuel pump noise coming from the gas tank or the sound is very week, chances are that its time to replace your fuel pump. My car is jerking while accelerating. Do I need a new fuel pump? If it’s not your engines tuning, jerking is usually the result of a faulty fuel pump. Follow the same procedure above to listen for the fuel pump. What fuel pump flow rate (LPH) and pressure is suitable for my application? 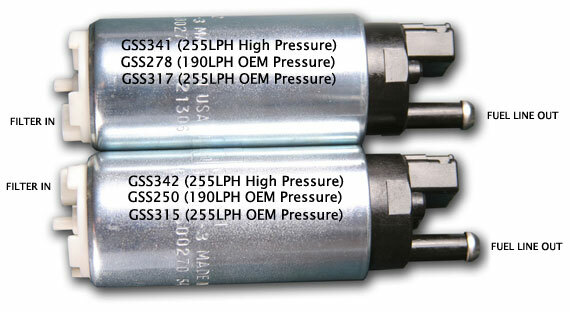 walbrofuelpumps.com only sells fuel pumps which meet or exceed the manufactures recommended flow and pressure. Sending a larger flow of fuel throughout your fuel system will never harm your engine and may actually help your vehicle in several ways. Your fuel injectors and fuel pressure regulator will only allow what is needed to travel into your engines intake manifold, usually sending back approximately 95% of the fuel from your fuel pump, directly back to your fuel tank via the fuel return line. This helps cool down your gas as well as fragile vehicle components as the fuel passes through. 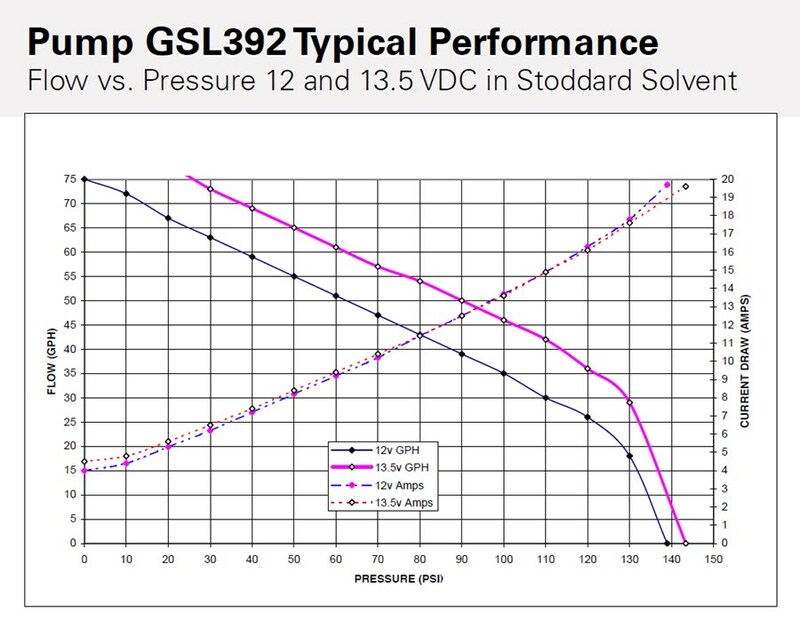 What is an fuel pressure regulator? 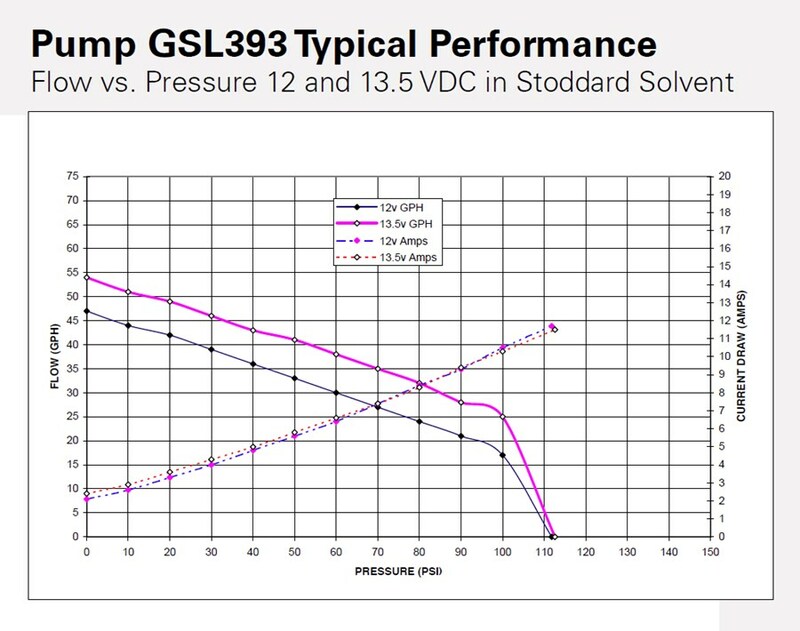 An fuel pressure regulator (FPR) controls the amount of fuel that goes into the intake manifold via the vacuum line after it passes through the injectors. How does a typical EFI (electric fuel injection) system work? 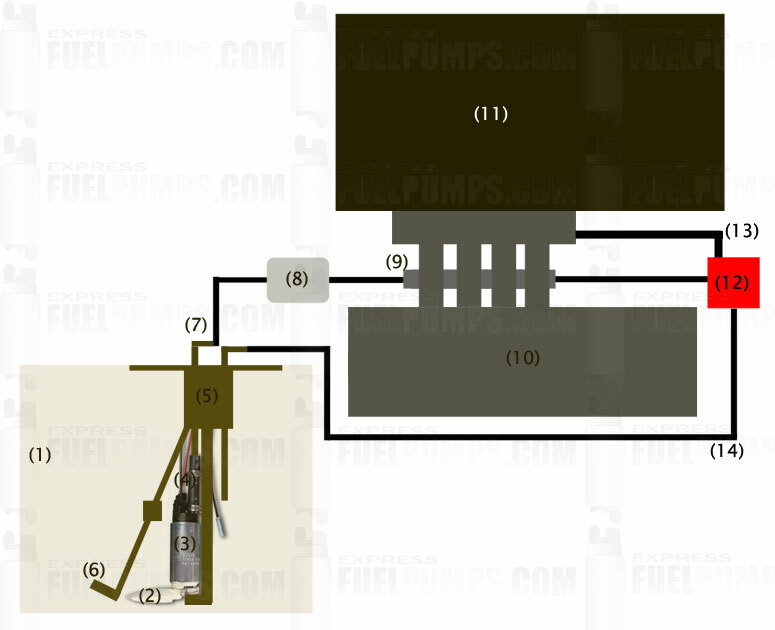 Below is a diagram which we have drawn to show the basics of how your fuel system works. My application is not listed. Do you have a fuel pump that will work with my car? In general, most automotive manufactures share the same style of fuel pumps. 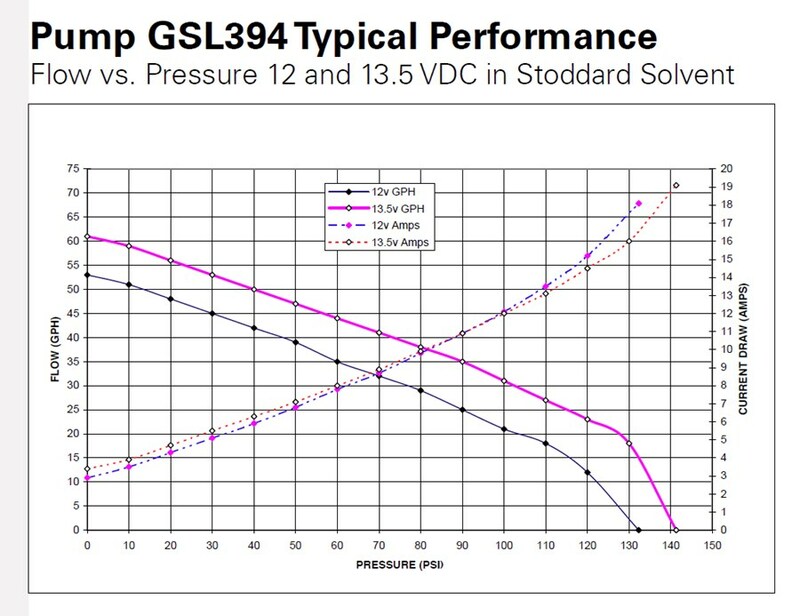 For example, all the GSS intank fuel pumps sold on our website are the same size and almost identical to each other asides from the filter pointing in opposite directions as you can see in the photo below. This standard fuel pump style is used in thousands of vehicles, both import and domestic. Express Fuel Pumps are constantly researching and developing new and popular applications which get added to our catalogue. If your vehicle is under 25 years old and you would like to request an immediate evaluation of its suitability for our intake fuel pumps, please contact us with your application details (year, make, and model). In the event that our intake fuel pumps determined suitable for your vehicle, we also carry a full line of Walbro inline fuel pumps that are universal to all vehicles. How do Walbro universal inline fuel pumps work? Instead of mounting at the bottom of your fuel sending unit (inside the gas tank), Walbro inline fuel pumps generally mount externally from the gas tank, usually plugging into the exit point of the sending unit or before the rubber fuel line connects to the steel fuel line under most vehicles. We offer a full line of inline fuel pump brackets and fittings which allow your to easily mount it in a safe place and adapt it to all standard fuel line sizes. Does it matter what type of engine I have (Example - Will the fuel pump you list for the 1991-2000 Acura NSX fit my 3.2L engine even though most NSX’s came with the 3.0L engine? The main requirement of replacing your fuel pump is being able to safely mount it into the gas tank of your vehicle and having it send the proper amount of fuel to your engine. Providing our site doesn’t specifically list in our items title an engine or transmission type such as 6CYL, 4.0L, or FWD (Front Wheel Drive), our fuel pumps listed for the application will fit all variations of your vehicle. (Ex. We list the 1989-1994 Mitsubishi Eclipse as two titles, 1989-1994 Mitsubishi Eclipse AWD and 1989-1994 Mitsubishi Eclipse FWD. Therefore you must pick the correct product which associates to your Eclipse’s transmission type. 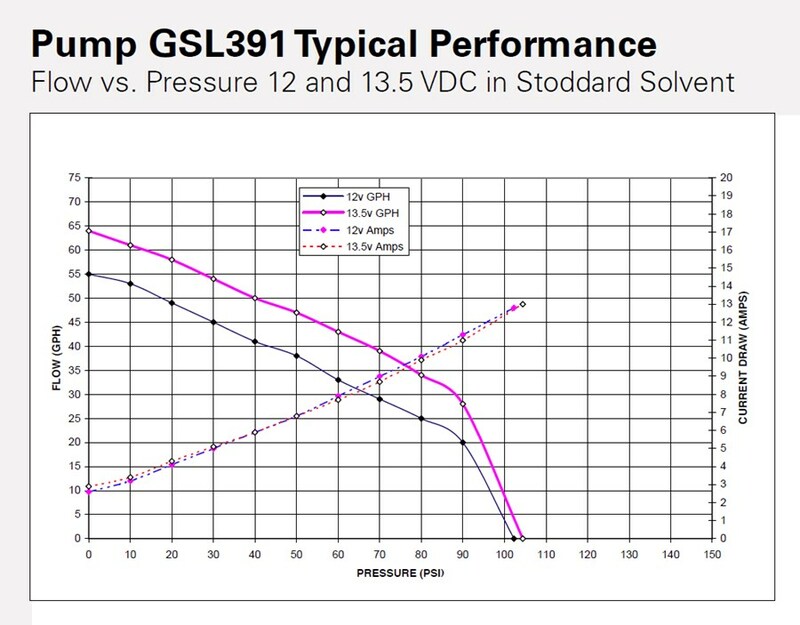 What PSI (pounds per square inch) do your inline fuel pumps run at? How long do your fuel pumps last? Walbro fuel pumps should last between 10-20 years. What is so great about Walbro fuel pumps compared to other fuel pump manufactures? All Walbro fuel pumps are manufactured in the USA. Walbro has produced over 20 million original equipment fuel pumps for many automakers. 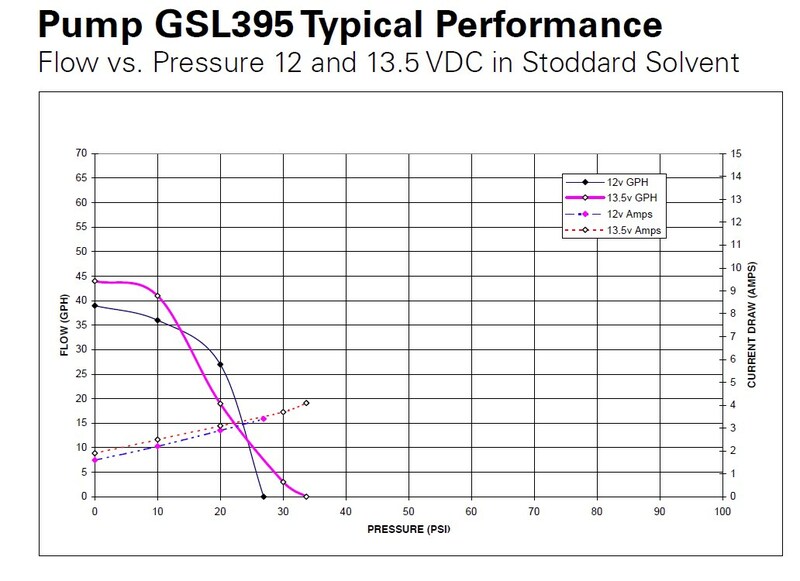 Each Walbro electric fuel pump is developed using the latest computer-aided-design techniques and tested for durability under a variety of conditions, ensuring they will stand up to real-world abuse. Each Walbro fuel pump is fully tested before shipping, assuring of top performance, reliability, and customer satisfaction. Each Walbro fuel pump is manufactured with patented gear rotor technology (U.S. patents 4,500,2700 and5,421,306) allowing for advanced flow of fuel at an affordable price. It is highly recommended that you have a professionally licensed mechanic install your fuel pump. If you are on a low budget or a vehicle enthusiast learning to gain knowledge of the fuel system, many import applications have there fuel pump accessible from the trunk. Detailed instructions and installation guidelines are included with all fuel pump orders. Please note that malfunctions do to improper installation such, as failure to prime the pump, may void the manufactures warranty. If your fuel tank must be removed to access the fuel pump, it is extremely important to have it replaced by a licensed mechanic. What does my fuel sending unit look like? 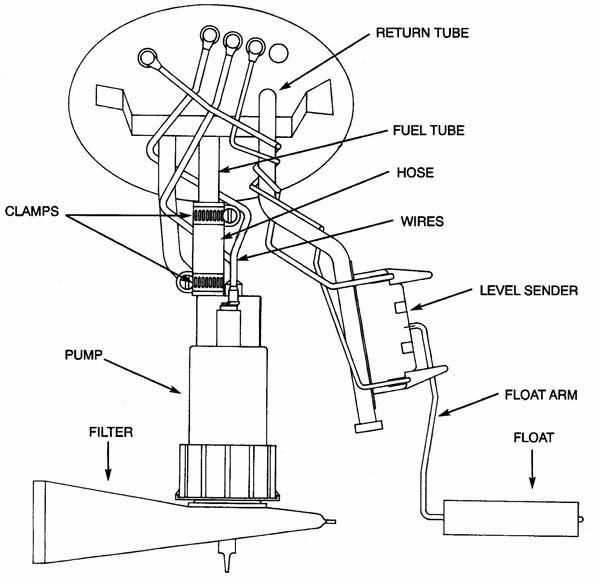 Below is an image of what the typical fuel assembly looks like. A fuel sending unit is where you mount your new in tank fuel pump. Please note that in most cases during installation, you will not have to disassemble anything other than the old fuel pump, hose, and positive/negative power connection. What do the included Walbro fuel pump installation instructions look like? We have converted an example Walbro fuel pump installation guide which is included with all fuel pump kits. Installation instructions received may differ depending on the fuel pump kit.